Courses can be completed at your premises or ours. Until 2004 ADR and associated regulations were always considered to be the concern of the haulier and the driver. 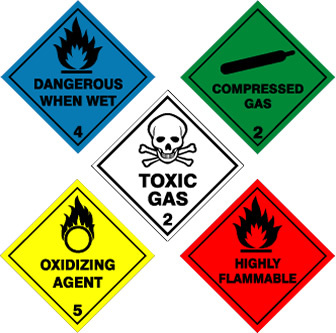 In fact almost any person involved in the supply chain of hazardous substances now has a responsibility under ADR Regulations. The regulations state that all these persons must be suitably trained; without stating what suitable is. However, the Health & Safety Executive (HSE) has stated that the only qualification that they recognise is the ADR qualification. This is obviously expensive especially for small companies. Many companies have therefore elected to carry out awareness training that meets their specific risks as a cheaper option, however, such organisations should be aware that where this type of training is undertaken it may have to prove in a court of law that the training given is at least compatible in standard to that given on the ADR course. It is presented by Department for Transport (DfT) accredited ADR instructors. The course is designed using extracts from DfT accredited ADR presentations. Training standards used are compliant with the DfT/SQA training manual on ADR training. Standards of understanding can be measured by multiple-choice examinations. Certificates of attendance detailing course contents are provided. Only information identified by client risk assessment is addressed, reducing training time and hence cost. This should satisfy any legal challenge with regard to training content and standards.